Left to right: Governor Tom Wolf, Pastor Earl L. Harrris, President of the Interdenominationl Ministry Conference, and Lieutenant Governor Mike Stack. Photo by Bonnie Squires. Pennsylvania Governor Tom Wolf hosted the annual “Civic Commemoration of the Holocaust” ceremony in the Governor’s Reception Room on Monday, April 20. Michael Sand, chairman of the Pennsylvania Jewish Coalitions’ committee which helped plan the event, had assembled several Holocaust survivors and children of survivors from Harrisburg and York to be present to light candles in memory of the six million who had perished. Lt. Governor Michael Stack was also one of the speakers. Before the ceremony began, Governor Wolf greeted (left to right) Bonnie Squires, board president of The Philadelphia Jewish Voice; Laura Adler Princiotta, CEO of SpArc Philadelphia; and Tanya Regli, Executive Director of The Arc of Philadelphia. There was standing-room only, with almost all of Governor Wolf’s Cabinet officials attending, including, among others, Leslie Richards, Secretary of Transportation, and Kathy Manderino, Secretary of Labor. Dozens of members of the House of Representatives and Senate were also in attendance, including Senators Andy Dinniman and Daylin Leach, and Representatives Tim Briggs, Frank Dermody, and Dan Frankel, who presented the House resolution in observance of the Holocaust Remembrance Day. Kathleen (Katie) McGinty will become chief of staff following Governor-elect Tom Wolf’s inauguration on January 20, 2015. Governor-elect Tom Wolf announced Kathleen (Katie) McGinty as the incoming chief of staff in his administration. McGinty has more than 25 years of experience in public service, and has also spent time in the private sector. McGinty began her career in the office of then-Senator Al Gore, where she worked on initiatives to strengthen patent protections, encourage manufacturing, and support science education. She also contributed to the re-authorization of the Clean Air Act. Following her time in Gore’s office, McGinty served President Bill Clinton as his deputy assistant and then as chair of the White House Council on Environmental Quality. She was the first woman to head the office. In this capacity, McGinty worked with Republicans and Democrats to pass environmental legislation while leading a number of initiatives to redevelop brown fields, restore and preserve key ecosystems, and improve environmental protection. 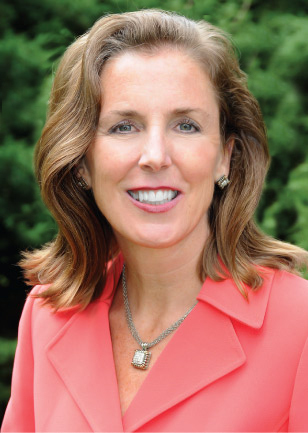 In 2003, McGinty was nominated by Governor Edward G. Rendell to become the first woman to lead the Pennsylvania Department of Environmental Protection, where she worked on clean water and mercury reduction initiatives and encouraged job growth in the energy sector, including solar and wind jobs. Since 2008, McGinty has been a leader in the clean energy and environmental engineering space. She has led a global business cleaning up and redeveloping contaminated properties and developing renewable energy, and she has served on the boards of directors of publicly traded and privately held corporations. McGinty will become chief of staff following Wolf’s inauguration on January 20, 2015. Until then, she will assist Wolf as he builds his administration. Tom knows how to create jobs here in Pennsylvania… He’s a practical person who just wants to make it work for the people of Pennsylvania. He’s not going to run on an agenda of slashing budgets for our schools or laying off thousands of teachers. He’s not running to serve special interests. The event manager of The Liacouras Center, Michael Tischler, said that the crowd count was 5,500. 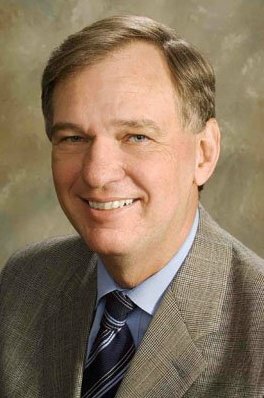 Wolf was secretary of the Pennsylvania Department of Revenue between April 2007 and November 2008. He is the chairman of his family-owned business, The Wolf Organization Inc., a building-product company.